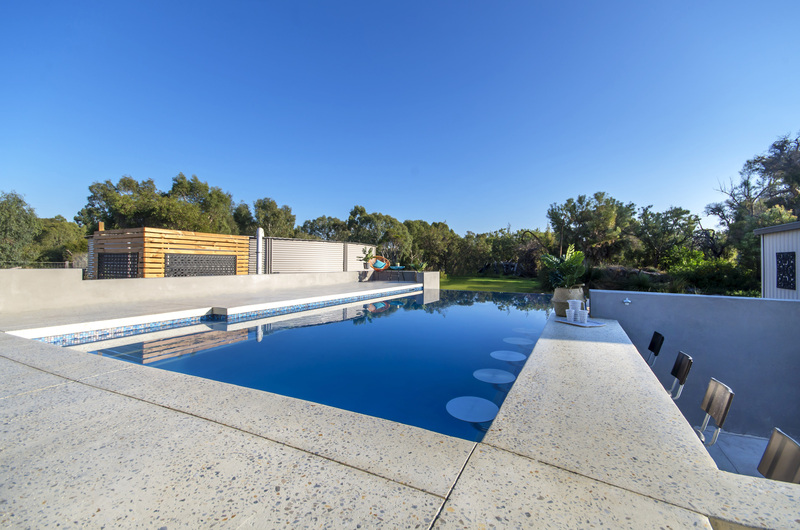 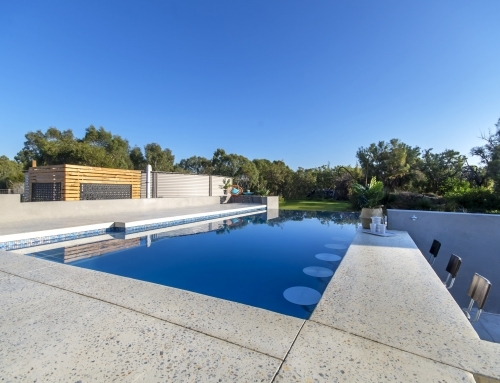 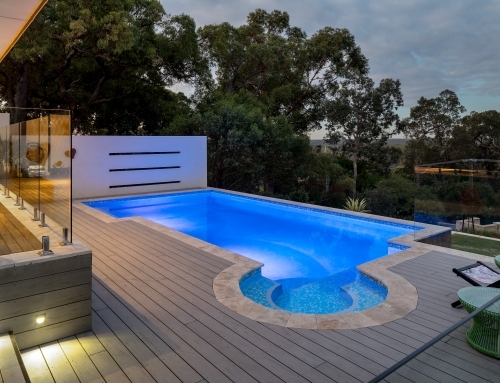 The contemporary geometric pool has a stylish design wrapping around the existing alfresco piers and overlooking a landscaped lake. 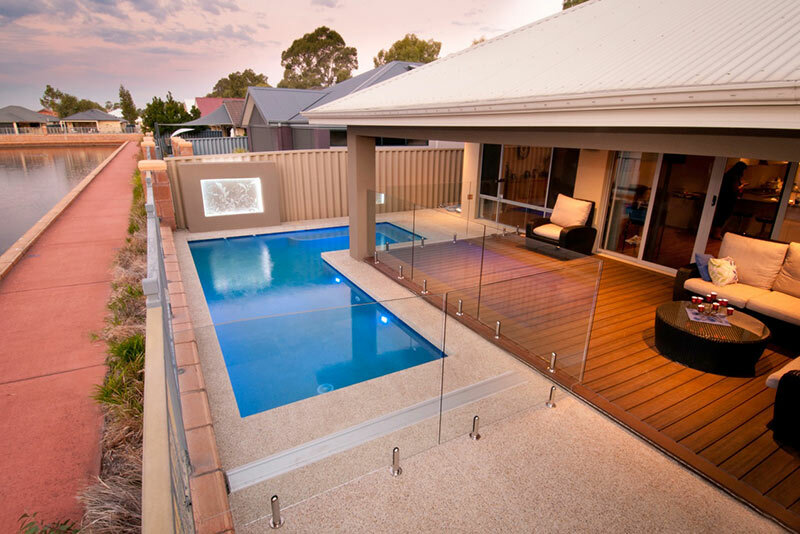 Finished in glass bead render, the glass spheres shimmer and sparkle with light and provide a non abrasive feel under foot. 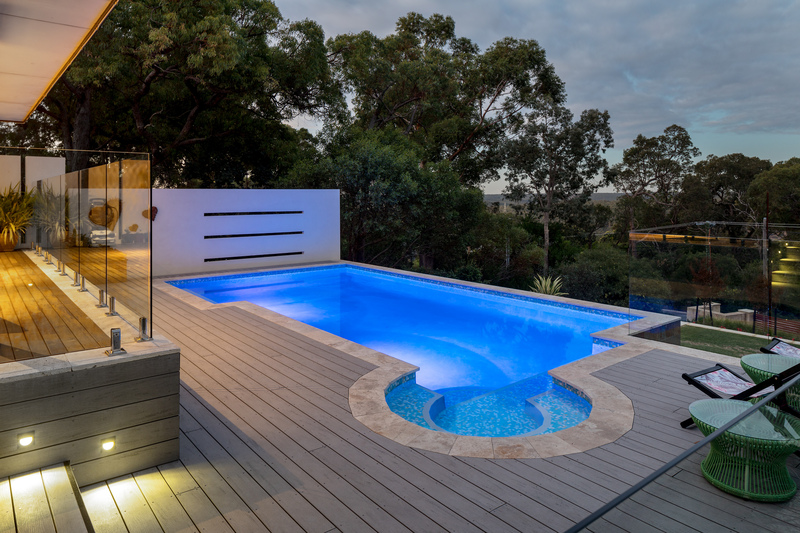 A stunning water feature was incorporated into the design featuring a glass art etched panel, complemented by LED side lights to illuminate the design. 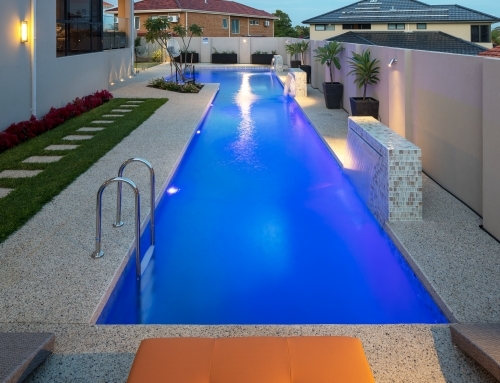 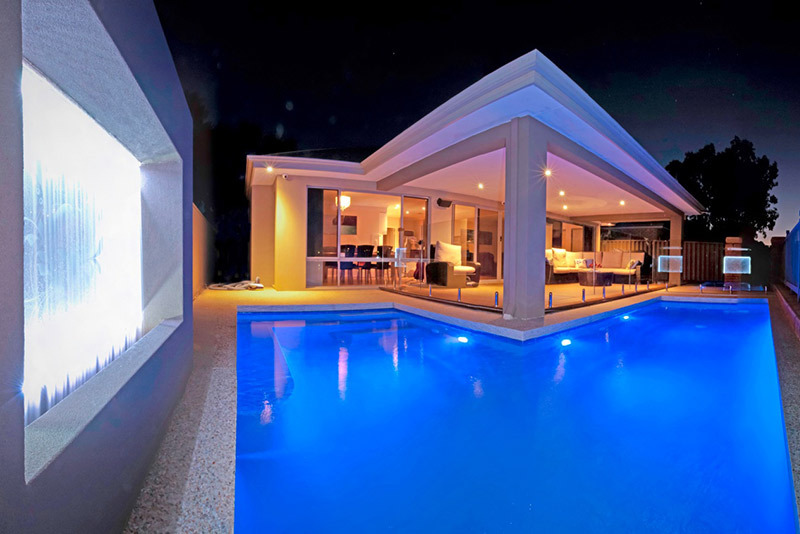 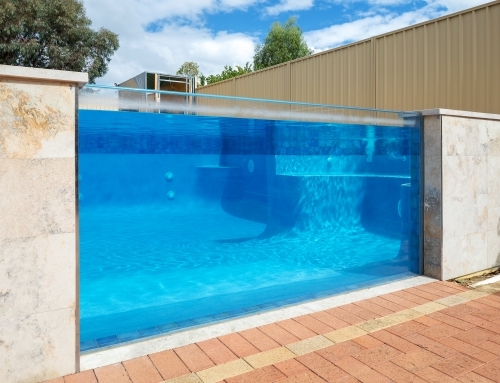 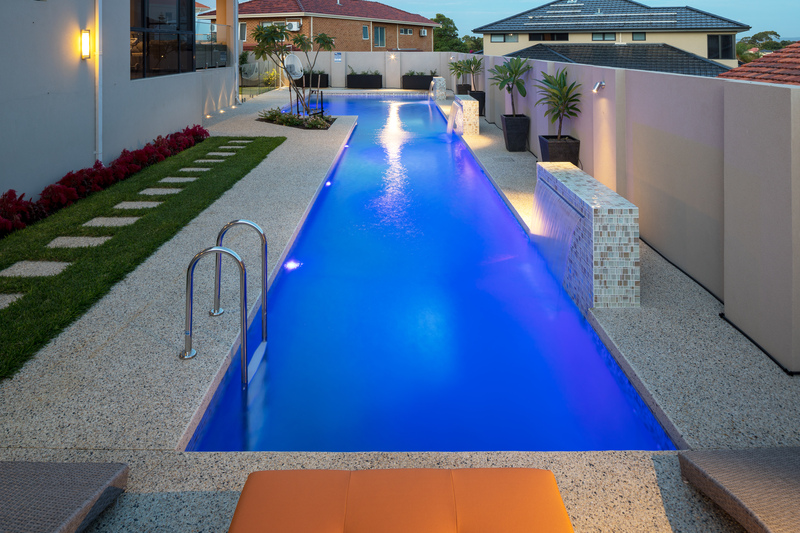 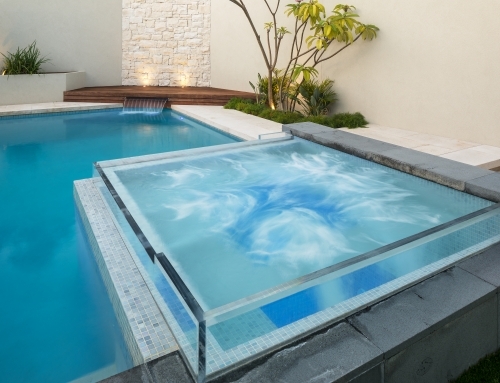 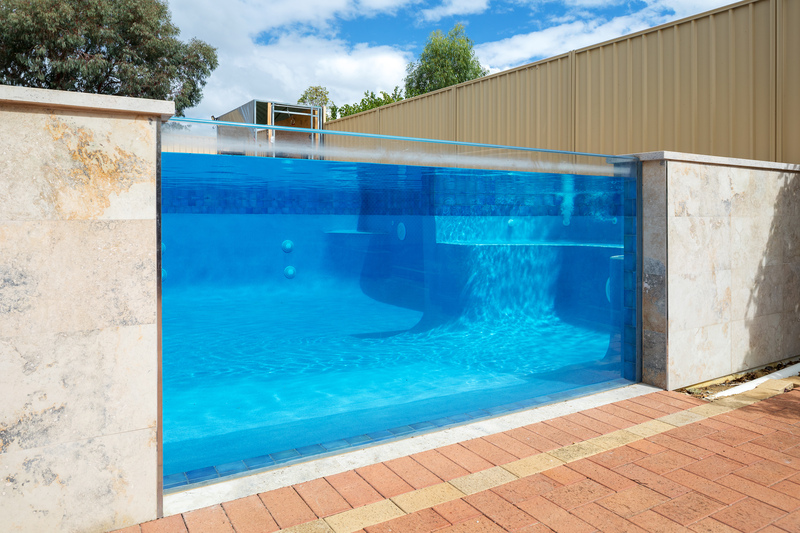 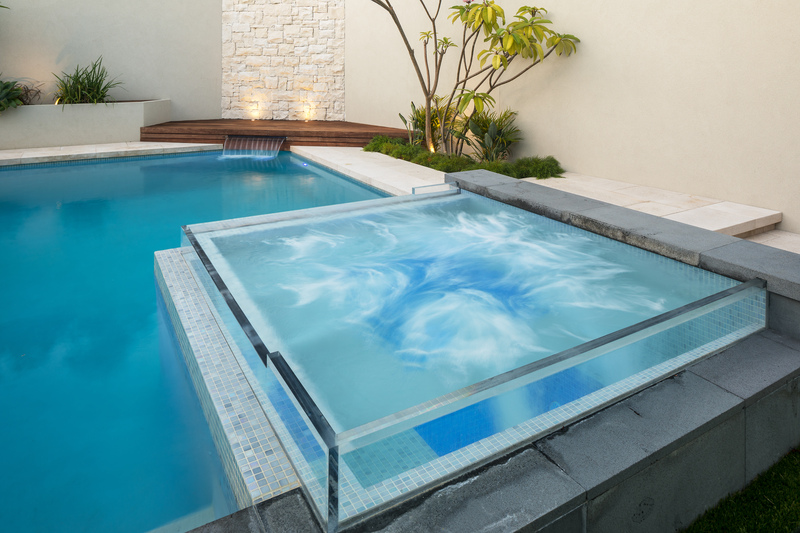 A small trough catches the cascading water, it then drains via hidden pipework to the main pool body.